List Price: $1,199,000 – SOLD for full price! Click HERE to see the full property tour. Fantastic fenced yard with flagstone patio and extensive landscaping. This elegant Sumner home has been meticulously cared-for inside and out. The front entry opens to a center hall foyer and the elegant circular floor plan provides spacious rooms for entertaining. The kitchen is updated and offers a table space area and a window over the sink that enjoys the view of the flagstone patio and private fenced yard. An abundance of storage is available throughout the home including large walk-in attic storage rooms. The master suite offers an ensuite full bath and all upstairs bedrooms have hardwood floors in place under the carpet. The finished basement is spacious with a generous bedroom/office, full bath and recreation room with a wood-burning fireplace. Direct access is available to the backyard. There is also an abundance of storage space and a separate laundry room. Sunroom opens to patio and back yard. Includes heat & A/C & two ceiling fans. The property features a level-entry, two-car garage which opens to the three-season sunroom. With over 400 sq. ft. of space in the sunroom, it’s a fantastic space for entertaining or just relaxing. It also includes heat and A/C and ceiling fans. The home has a newer roof installed in 2014 plus all new gutters and downspouts, exterior paint, chimney crown and more. An elegant home with center hall foyer and beautiful rooms throughout. Ideally situated in the popular Sumner community this home is hard to beat! Enjoy the nearby Capital Crescent Trail, convenient shopping at Westbard and Sumner Place shopping centers and easy access to the Metro Bus to Friendship Heights and the D5 Commuter bus. Schools include Woodacres Elementary, Thomas W. Pyle Middle and the award-winning Walt Whitman High School. For more information, please contact Brian and Amy Maury. Ideally located in Cleveland Park! Tucked away in a quiet spot surrounded by trees but close to everything! Rarely available, this beautiful two-bedroom condo is located on a quiet, tree-lined street in DC. The community is ideally located near the Cleveland Park Metro, Rock Creek Park, shopping, restaurants, Uptown Theater and the National Zoo. Enjoy all that DC has to offer in this fantastic location. The condo offers over 850 sq. ft. with two generous bedrooms, formal living room and dining room and a kitchen updated with Corian counters and maple wood cabinets. Freshly painted throughout the unit. 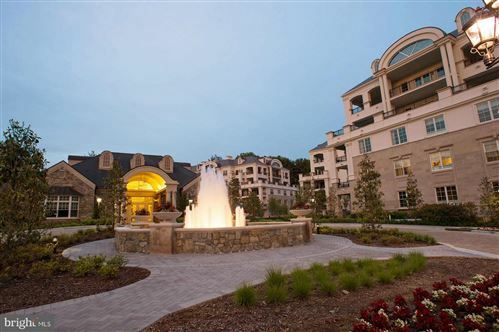 The condo dues include private reserved parking and heat, gas, water, trash and sewer services. List Price: $899,000 – SOLD above the asking price! Click here to see virtual floorplan. Located on a cul-de-sac, this attractive and renovated brick split-level features three bedrooms and a renovated master bath, plus additional hall bath on the upper floor. The main entry level features a foyer, living room, dining room, updated table space kitchen with granite countertops and stainless appliances, a den/office addition with a walkout exit to a multi-level flagstone patio with stone retaining walls and access to the nice level and fenced backyard. Family room with sliding door to flagstone patio. There are two lower levels with the first featuring a recreation room with fireplace, office or play area, bedroom and full bath, and stairs to second finished basement level with playroom, utility room and deep over-sized one-car garage. Walk to Whole Foods, Kenwood Country Club, Woodacres Park and Capital Crescent Trail. Award-winning schools including Woodacres Elementary, Pyle Middle School and Whitman High School. List Price: $1,395,000 – Sold! Gorgeous kitchen with custom cabinetry. Fantastic brand-new 5 bedroom home situated on a quiet cul-de-sac built by the Award-Winning Menditch Homes. Light & bright this home offers custom high-quality finishes throughout. The gorgeous kitchen has an island open to a spacious family room with a gas fireplace. The Glen Echo Heights community enjoys a convenient access to the RideOn Bus to Bethesda Metro (Red Line) and convenient nearby shopping including Starbucks, Giant, RiteAid and Whole Foods. Schools include Woodacres Elementary, Thomas W. Pyle Middle and, award-winning Walt Whitman High School. This sale was a private offering and sold off-market. Call us for details on other private market opportunities! This is it! This is the home everyone wants but is rarely found. With an elegant and perfectly designed two-story addition, the home offers an open concept family room, dining room and kitchen. This wonderful space includes a gas fireplace and two-zone sound system (inside and outside), generous dining room area and a kitchen with high ceilings, transom windows, island seating and gorgeous Cherry custom cabinetry. The space enjoys lots of light and is just the right size for entertaining. It opens to a landscaped yard with a patio, deck and grassy area with much privacy. The home also offers a main floor living room and a den/office or 5th bedroom with a Murphy bed that conveys. It’s such a great use of space! The full size main floor bath is renovated and privately connected to the den which is ideal for guests. Four bedrooms upstairs and two full baths. The fully renovated master bathroom is a spa-like retreat with dual vanities, separate walk-in shower with rain head and deep air jet tub. Three closets in the master bedroom with closet organizing systems. The roof is approximately 5 years old, the HVAC is two-zone, updated electrical system and outlets, newer fence, plus a beautifully landscaped lot with storage shed for bikes and more. The home is situated in a quiet spot in the popular Greenacres Community where you can walk to the Capital Crescent Trail, Friendship Heights, Whole Foods, the Metro Bus, Westbrook Elementary and is less than 1-mile to the DC line. Contact Brian or Amy Maury for more details. Are you thinking about selling your home? Perhaps you’ve explored a major renovation and/or adding an addition to your home to meet your needs. After the contractor’s estimate comes in (and you have picked yourself up off the floor) you are beginning to think it might make more sense to find another house. In the meantime you know intuitively that your house needs some attention, especially if you are going to get top-dollar for it. If you’re like most people you didn’t want to make any improvements if a full-scale renovation was in the works but now —that’s not likely. So what should you do? Here’s our Top 10 Seller’s To-Do List to help you get on your way. Nothing will kill a potential sale faster than fear. Home buyers are a nervous bunch, looking for reasons not to buy your home. Don’t let a minor repair create unnecessary fear in a potential buyer’s mind. Remember that roof leak from years ago? The stained ceiling that never got repainted could send a buyer running for the hills. Ask your agent for a referral to a quality contractor to patch, sand and paint the old damage. Basement leak? We’ve all had them. If the issue has been resolved let’s get things cleaned up and looking like new. If the issue is on-going consult your agent for a referral to the right contractors to solve the problem before you list your home for sale. Some improvements can make the difference between selling quickly for top-dollar or languishing for sale on the market for months. The challenge is figuring out what the buyer hot-buttons are and making the right upgrades without breaking your bank account. This is where your real estate agent’s experience and advice can be invaluable. For example, installing a brand-new kitchen is very expensive and rarely makes sense. However, perhaps a few new appliances, a new counter- top, new shiny knobs on the cabinets, painting and updated lighting might be all that’s needed and just do the trick. #8 Give a strong handshake. One of the first lessons my father gave me was to give a good handshake. Your front door is like your handshake to the world. Buyers linger at the front door while their agent wrestles with the keys. Does the lock work easily? Is the door freshly painted? How is your entry light (filled with bugs)? Would a new light be more welcoming? #7 Give yourself some curb appeal. We all want an attractive home. Sure it’s a 1950’s brick home but look how charming the house is! That’s the sentiment you’re after. Hire a professional landscaper to trim, edge and mulch. First impressions matter and what your home says on the outside communicates what a buyer will find inside. A fresh coat of paint goes a long way! #6 Clean. Then clean again. “Did you see that bathroom? That was so gross!” We’ve heard buyers utter these very words as they quickly piled back into our car and on their way to the next house. Pay close attention to bathrooms and the kitchen where dirt and grime often build up. Remove mildewed caulk and give the refrigerator and stove a good scrub. Watch for offensive odors. Can you see out the windows? Sometimes hiring a professional house cleaning service is best. #5 Should I paint that? The answer is YES! There is truly no better pre-sale home investment than painting. Our home stager can provide color advice. Grey hues are the new beige and white semi-gloss remains the safe color of choice for trim. #4 Professionally stage your home. Home searches today begin on the Internet. The photos of your home will be your first (and often last) opportunity to make a good impression. We provide our clients with a complimentary professional home staging consultation because we know our stager can make a big difference in the visual appeal of their home and that ultimately creates more buyer interest. We also offer virtual staging services, an exciting new cutting-edge real estate tool, in situations in which it makes the most sense for a space. #3 Great photos and a floor plan. The most important step in any home marketing plan is great photography. Today your home is being shown first on-line, then in person. If you don’t make the cut on-line you might not ever get the chance in person. Professional photography is a must and a floorplan of the house is critical too. Check out a sample of our photography and floorplan tours here. This timeless wisdom, passed down from nearly all the ancient civilizations, applies to selling your home as well. You need to look at your home as an observer (buyer) from the outside. Put your own personal feelings and emotional attachment aside and candidly assess your home’s value and appearance. Ask your agent take you on a tour of the homes you will be competing against. In addition to helping you with the aforementioned “to-do’s”, your agent will help you establish an accurate price. Nothing is more important than pricing your home correctly. Lean into your agent’s experience and advice. Heed this list and we’re sure you’ll have no trouble selling your home. If you are considering the sale of your home in the future please call us for a free consultation! We’re here to help. List Price: $799,000 – Sold! Call for sale price. This classic brick colonial is updated with double pane windows throughout and a relaxing sunroom addition. The kitchen offers granite counters and stainless steel appliances plus a charming breakfast nook addition. The main floor also has a formal living room with wood-burning fireplace with a mantle and a formal dining room plus a half bathroom. The entire home has been freshly painted. Upstairs you will find three bedrooms and an updated full bathroom. The paved driveway provides convenient access to the kitchen. The yard is tiered and receives lots of sun – ideal for gardening and flowers. Plus you’ll enjoy the spacious flagstone patio and deck with built-in seating. The home features a slate roof, brand new updated electric panel and a recreation room and full bathroom in the basement. The Glen Mar Park community enjoys Halloween parades and friendly community events. The location is hard to beat with the nearby playground, Capital Crescent Trail, D5 & Metro bus access, Starbucks & shopping. Schools include Woodacres Elementary, Thomas W. Pyle Middle and the award-winning Walt Whitman High School. List Price: $1,149,000 – Sold! Call for sale price. This wonderful Sumner home is surprisingly spacious inside. The front entry opens to a center hall foyer and the elegant circular floor plan provides spacious rooms for entertaining. The kitchen is updated and open to a large breakfast room and family room with a view of the flagstone patio and private yard. An abundance of storage is available throughout the home. The master suite has a deep walk-in closet and updated en-suite bath. The finished basement is fantastic with a very large bedroom, full bath and generous recreation room with wood-burning fireplace and a fun chalkboard wall. The property features an oversized one-car garage with work bench. Ideally situated on a very quiet street, this Sumner location is hard to beat! Enjoy the nearby Capital Crescent Trail, convenient shopping at Westbard and Sumner Place shopping centers and easy access to the Metro Bus to Friendship Heights and the D5 Commuter bus. Schools include Woodacres Elementary, Thomas W. Pyle Middle and the award-winning Walt Whitman High School. Sold in 2 days over the asking price! No wonder it sold so fast! This handsome brick center hall colonial is situated just steps from the Capital Crescent Trail in popular Sumner Community. The home offers a gracious living room with wood-burning fireplace & french doors to a flagstone patio complete with a babbling fountain and pond with a resident Koi fish. The main floor also boasts a cozy den, light-filled sunroom and an updated kitchen with a vaulted breakfast room addition. Upstairs you will find three bedrooms and a sitting room with an en suite master bedroom and walk-in closet. Hardwood floors are offered throughout the main and second floors. There is also a spacious walk-up floored attic, basement recreation room and full bathroom and a one-car attached garage. The Sumner community enjoys a convenient access to the RideOn Bus to Bethesda Metro (Red Line) and convenient nearby shopping including Starbucks, Giant, RiteAid and Whole Foods. Schools include Woodacres Elementary, Thomas W. Pyle Middle and, award-winning Walt Whitman High School. SOLD! Ideal Top Floor Condo in the Perfect Location! Nestled in a quiet spot amongst the trees but close to everything! Rarely available! This wonderful top floor, 3-bedroom duplex-style condo is nestled against parkland and is situated next to the Capital Crescent Trail. It’s quiet and private yet close to everything! It is just steps from restaurants, Starbucks, CVS, wine shop, grocery, doctors offices and shops. The locals love Praline Bakery and Bistro! Enjoy an easy commute to DC using the D5 commuter bus. It’s a quick drive to Virginia by way of the Clara Barton Parkway to 495. Bike lanes extend along MacArthur Blvd and of course on the nearby Capital Crescent Trail. The unit spans the entire upper level of the building and enjoys an abundance of light with windows on all four sides. It’s fresh & clean with all new interior paint and carpet throughout. The generous updated kitchen has an abundance of storage cabinets and a pantry plus a full-size washer & dryer. Lots of counter space is available for cooking and the serving peninsula adjacent to the dining room is ideal for bar seating or entertaining. The spacious living room has plenty of room for even a sectional sofa. The back corner bedroom could alternatively be used an office, TV room or den with access to the private deck. Generous kitchen with washer and dryer. Eating bar open to the dining room. Lots of light! Enjoy some of the best schools in the country including Bannockburn Elementary, Pyle Middle School and Walt Whitman High School. Here is the link to view the property tour. Spacious living room. Updated double pane windows allow lots of light. All new carpet and paint! 5313 Wehawken Rd…where your dreams come true! List Price: $2,269,000 – Sold! Please call for sale price. This is the home you’ve been waiting for! With four levels of stunning detail, this custom home was built by acclaimed Rembrandt Builders. The entire exterior features solid brick and quarried stone with architectural keystones above the windows and doors. Brazilian hardwoods with inlays welcome you at the dramatic entry foyer and decorate the entire main and second level. The formal living and dining rooms feature a two-sided modern gas fireplace with floor-to-ceiling tile by Artistic Tile. On the living room side, Mother of Pearl Ribbon pattern, Claridges and on the dining room side, Authentic Thassos Marble create an enchanting focal point for entertaining. The attention to detail and abundance of upgrades and enhancements continues throughout this home. Luxury artistic mosaic tiles grace intricately designed bathrooms and the kitchen as well. The cooktop backsplash features a stunning Waterworks Aqualinea Casablanca Mosiac. Wolf and Sub-Zero custom paneled appliances, Statuary marble island countertop and leathered granite countertops, are just a few of the features you will enjoy while cooking, living and entertaining in this professional kitchen that is open to the family room and perfectly sized breakfast room. The family room features a magnificent gas fireplace as a focal point. Built-in shelves, high-ceiling with box beam design and an abundance of light from the back yard create a truly elegant but comfortable space. The master suite is one like you’ve never seen before! Enjoy gorgeous Brazilian Walnut floors with inlays, motorized blinds, sitting room area facing the two-sided gas fireplace with floor-to-ceiling Palissandro Bluette Marble tile cut in a herringbone pattern. The exquisite master bathroom tile designs combine with beautiful bathroom fixtures, his/her water closets, deep glorious professionally designed walk-in closets with shelving systems and attention to every detail. As if all that isn’t enough, there is even more to see and appreciate in this incredible custom home including top of the line home automation, security system, a theater, central vacuum and an au pair suite with kitchenette. Fine luxuries and amenities await you. Welcome home to find all you desire! See HOME TOUR for floorplans and additional photos. Situated on a quiet street near Ayrlawn Park, this award-winning six-bedroom, 4-level custom home is truly special. Built by Douglas Construction, the home is well-planned and offers open spaces, high quality finishes and high ceilings. Entertaining is easy in the gourmet kitchen w/quality cherry cabinetry, large island with seating and wide open breakfast room area. The nearby family room with gas fireplace overlooks the backyard. The perfectly placed mudroom is so convenient for storage of backpacks, shoes, coats and sports equipment and is tucked away in just the right spot. Enjoy the main floor office, upper level loft, oversized 2-car gar and fenced, level, sunny yard. Games anyone? The spacious lower level recreation room offers plenty of room for toys! The pool table and ping pong table convey! Ideally located for METRO, NIH, parks, walking trails, shopping, restaurants & all that Bethesda has to offer! Enjoy some of the best schools in Bethesda – the beloved Wyngate Elementary, North Bethesda Middle School and Walter Johnson High School. For more information , please contact Brian and Amy Maury. Listed by Maury Real Estate: 301-229-3652. Gorgeous well-planned kitchen with a view of the treetops. LIST PRICE: $499,000 – Sold for above the asking price. Call for details. Rarely available, this incredible two-bedroom condo is located on a quiet, tree-lined street in DC. The community is ideally located near the Cleveland Park Metro, Rock Creek Park, shopping, restaurants and the National Zoo. Enjoy all that DC has to offer in this lovely location. With three exposures, the condo gets beautiful light and offers a renovated eat-in kitchen with granite counters and floors, stainless steel appliances and a peninsula ideal for entertaining! Attractive hardwood floors are offered throughout the foyer, living areas and bedrooms. The condo includes private reserved parking, in-unit washer and dryer and the dues include heat and water services. What a cream puff! This Randolph Hills rambler is beautiful inside & out! It offers a renovated kitchen with white cabinets, new granite counters, stainless steel appliances and tile floors. Just off the kitchen, you will find a spacious deck built in 2014 with steps to a lovely fenced yard with a lower level patio. The backyard also features a high-quality custom shed. The main floor features hardwood floors, new crown molding & fresh paint throughout. The bath is updated. The lower level features a family room, full bath & guest room plus closets for storage. The driveway has been extended and offers room for two or more cars to park off-street. Close to parks, trails, shopping, Metro & MARC. This home is a rare gem. Must see! For more information or to schedule a private showing, please contact Brian and Amy Maury. Listed by Maury Real Estate: 301-229-3652. This mid-century home is sure to please. The main floor offers four bedrooms with hardwood floors, a spacious living room with brick wood-burning fireplace with mantle, formal dining room overlooking the yard and two renovated bathrooms. The master is en suite and also offers a walk-in closet. Spacious back yard with NEW deck with steps to backyard and light, bright daylight basement. Natural light floods the eat-in kitchen and breakfast room. It has been renovated with white cabinets, Silestone counters, stainless steel appliances and tile floors. The spacious backyard oasis can be enjoyed from the brand new deck with composite, easy-maintenance flooring located just off the kitchen. The deck offers steps flanked with planting beds down to the patio and private yard. The daylight basement includes a generous recreation area with brand new carpet and paint throughout, a wood-burning fireplace, utility/laundry area, powder room and two bonus rooms ideal as offices, den or exercise rooms. The home features an abundance of storage options from the floored attic to plenty of closet space throughout. The attached carport is convenient and is ideally located adjacent to the kitchen area. Enjoy some of the best schools in the country including newly expanded Woodacres Elementary, Pyle Middle School and Walt Whitman High School. Renovated white kitchen with Silestone counters, stainless appliances and lots of light! Brand new refrigerator. Kitchen wall open to bar seating. Gorgeous wood ceiling throughout kitchen and eat-in breakfast area.